Jörg Widmann, one of the most-performed composers in Germany as well as one of the world’s leading clarinetists (he is featured in an interesting NY Times article here), joins the young, energetic and well-traveled Signum String Quartet at the Goethe-Insitut Boston for new and old German music next Monday. A collaboration with the Harvard Musical Association has allowed the Institut to offer this very high caliber event, which will feature Widmann both as composer and performer. Part of the program, consisting of Haydn‘s String Quartet op. 76 No. 2 in d minor “Quinten-Quartett, ” Jörg Widmann’s String Quartet No. 3 “The Hunt” (2003), and Carl Maria von Weber’s Clarinet Quintet op. 34 in B Major, will be previewed in the Fraser Studio for WGBH’s “Drive-time Live” on the 22nd at 4:00. 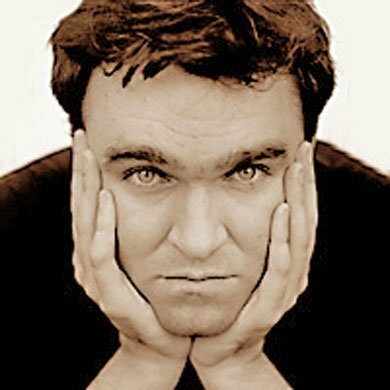 The station’s Cathy Fuller will also converse with the performers for a lively foretaste.Born in Munich in 1973, by eleven Jörg Widmann began to take his first composition lessons, continuing with Wilfried Hiller and Hans Werner Henze and later Heiner Goebbels and Wolfgang Rihm. As clarinetist Widmann’s great passion is chamber music and he regularly performs with partners such as Tabea Zimmermann, Heinz Holliger, András Schiff, Christine Schäfer and Gidon Kremer. He has also been invited to perform concerti by major conduccotrs with important orchestras. Several new clarinet concertos have been dedicated to Widmann by Wolfgang Rihm, Aribert Reimann und Heinz Holliger and others. He has been composer and artist-in-residence of the Salzburg Festival, the Lucerne Festival, the Cologne Philharmonic Orchestra and the Vienna Konzerthaus, followed by the Cleveland Orchestra throughout 2010/11. In 2001, he was appointed as professor of clarinet at the Freiburg Staatliche Hochschule für Musik (University of Freiburg) where he also got the professor ship of composition in 2009. Widmann has received numerous national and international awards for his cultural works. 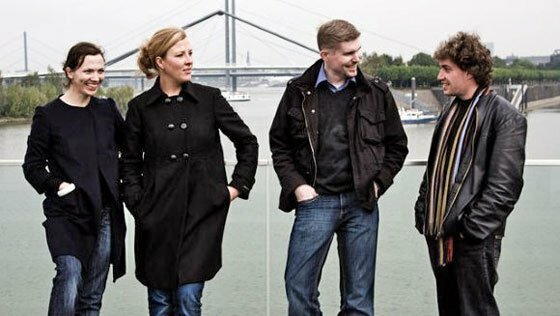 The Signum Quartet (violins Kerstin Dill and Annette Walther, violist Xandi van Dijk, and cellist Thomas Schmitz,) is valued on the international quartet scene for energetic and lively interpretations. Founded in 1994, the ensemble has had its current personnel since 2007. Their intensive studies with the Alban Berg Quartet, the Artemis Quartet and the Melos Quartet as well as masterclasses and collaborations with György Kurtág, Walter Levin, Alfred Brendel, Leon Fleisher and Jörg Widmann have shaped their artistic development and have led to numerous prizes such as Deutscher Musikwettbewerb, Premio Paolo Borciani, ICMC Hamburg, London International String Quartet Competition, where it was furthermore awarded the coveted audience prize. The Signum’s bio lists performances in major European venues as well as in Asia, Middle America and Africa. The foursome will be marking its Boston debut.